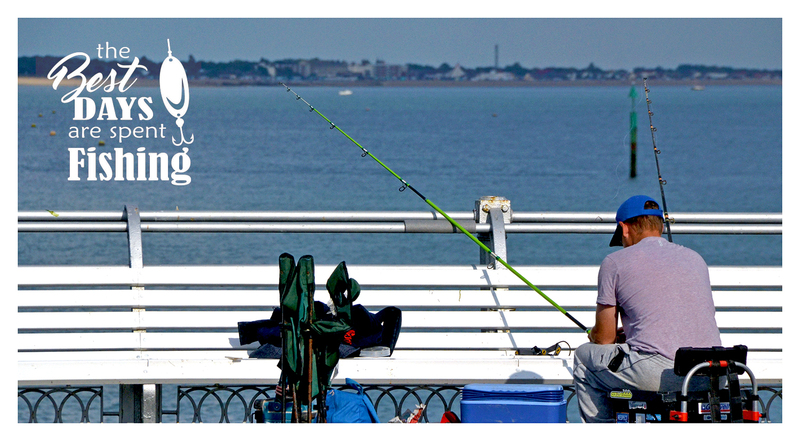 Fishing on ther Pier | South Parade Pier, Southsea, Portsmouth. 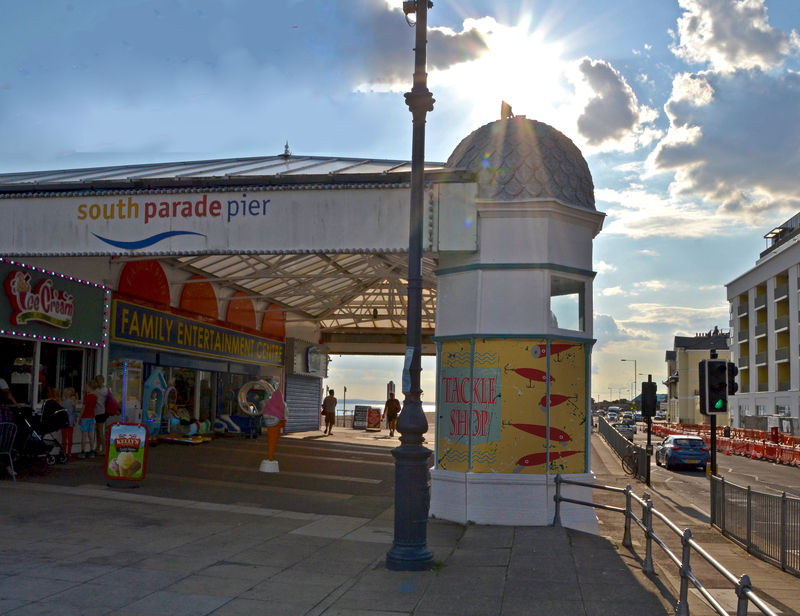 South Parade Pier is a fantastic for fishing and suitable for new and experienced anglers, young and old and also those with limited mobility. This very popular fishing spot is good all year round. During the summer there's mackerel, garfish, pollack, bass, mullet, bream, smoothhounds, scad and flatties and in the winter, codling, whiting and flounders. All fishing works well off the pier, hence its popularity but the best fishing is during late evening / night at high tide. Generally a light spinning rod with a float fish or simple rig will suffice but if you want to catch something larger try some crab or worm bait! 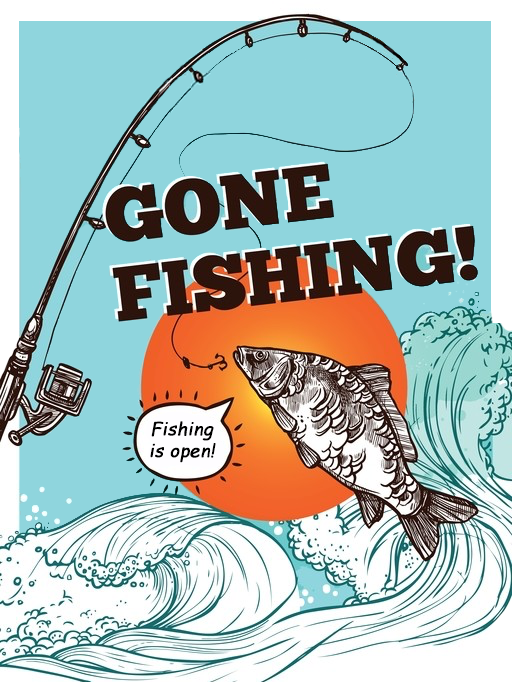 Our brand new Fishing Tackle & Bait Shop in the turrett at the pier entrance is opening very soon, so why not come and try a spot of fishing off South Parade Pier and take in the spectacular views of the Solent and Isle of Wight at one of Portsmouth's favourite fishing spots. From the shop you can purchase daily fishing sessions (see daily prices below), hire rods and get all the tackle and bait you need - live Bait, frozen Bait and more. A variety of refreshments are available on the pier as well as toilets and other ammenities. Check out the main pier website (southparadepier.co.uk) for more information. Live Bait, Frozen Bait, Tackle & more. "The best days are spent fishing"
The European Commissionhas determined that bass stocks remain under pressure despite the measures taken in previous years. It has placed further restrictions o the commercial and recreational fishing sectors in order to address this. Southern IFCA is working with DEFRA and the Marine Management Organisation to raise awareness of these regulations. These international measures form part of the package of EU regulations to rebuild the fishery. 2018 © pierfishing.co.uk. All Rights Reserved.